Even the most out of touch individual, someone who takes no interest in news and world events, can’t help but notice a so-called “feel good factor” around Great Britain. The source of this great uniting is The Royal Family; In recent years they really have transformed into a monarchy and unit who are in touch with ordinary people around the globe. In times of a struggling economy, pay cuts and low motivation, The Royal Family have become a source of positivity, aspiration and support for everyday people. Look back twelve months and notice the major events The Royals have instigated. The nationwide Diamond Jubilee tour saw The Queen visit all corners of the British Isles, seeing the people of towns and villages up and down the land. A real in touch moment for her and The Duke of Edinburgh. Alongside the tour, Buckingham Palace was transformed into a concert venue, with thousands partying down The Mall well into the night. The Thames was transformed into a giant river festival. Barges, rowing boats and even war ships were involved in the astonishing flotilla. Whilst the rain eventually did come down it did not spoil the day. Thousands lined the banks to celebrate a historic moment. On a day of immense pride, The Queen travelled to Westminster Abbey for the service of thanksgiving. ITV’s Mark Austin commented he didn’t believe the crowds would be as big as previous occasions, such as The Royal Weddings and Jubilees, but soon retracted his comments when almost one million people gathered to see Her Majesty on the famous Buckingham Palace balcony. The Jubilee led to thousands of street parties across the land, bringing communities of all ages and beliefs together to celebrate. A modern and scaled back Royal Family continue to prove popular. 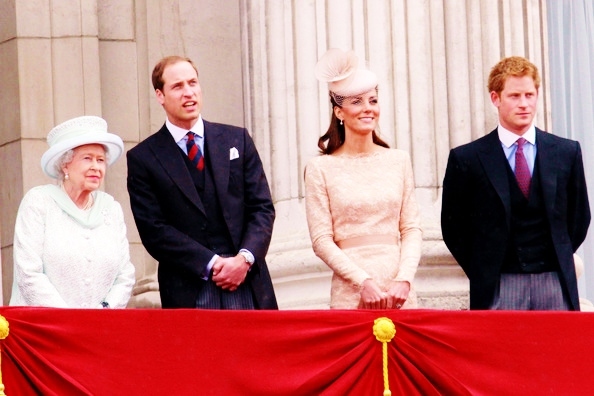 Before The Diamond Jubilee, events saw another historic occasion. The wedding of Prince William and the now Duchess of Cambridge. A day of personal and emotional achievements for the couple and yet for the thousands who gathered outside the Abbey and on The Mall a similar personal experience. Look back to those who were interviewed. They wanted to share in the delight and happiness of the newly weds. But why? The story was one of true love for William and Catherine Middleton. Together at University, Catherine was an everyday person, from an everyday life, in an everyday village. Suddenly she was whisked into the limelight and became a beacon of transformation and positivity, her story likely to be played out in the years to follow. Never had there been so much excitement from the crowd about a wedding since the last similar size event in 1981 for the marriage of Prince Charles and Princess Diana. Crowds were welcomed like guests and so the 2011 wedding proved that The Royal Family were and are more popular than ever. And with an ordinary “princess” becoming a member of the family, it brought a new touch and connection to the everyday supporter. Annual events including Trooping the Colour, State Opening of Parliament, Royal Ascot, Garden Parties and many more all collate one theme. Connection. Her Majesty, Prince Phillip, The Duke and Duchess of Cambridge, all of the family, are in connection with ordinary folk who come out to celebrate these occasions alongside. In times of sadness and grief, the public support The Royal Family. Recurring infections have seen The Duke of Edinburgh readmitted to hospital on several occasions. Whilst H.M is portrayed as emotional and alone in the media, she has the wealth of support from the public who continue to offer support and messages. The unexplainable rapport is explained no better than The Diamond Jubilee concert; Thousands of well wishers cheered and chanted for Prince Phillip who was in hospital. Nobody can say the public don’t care. 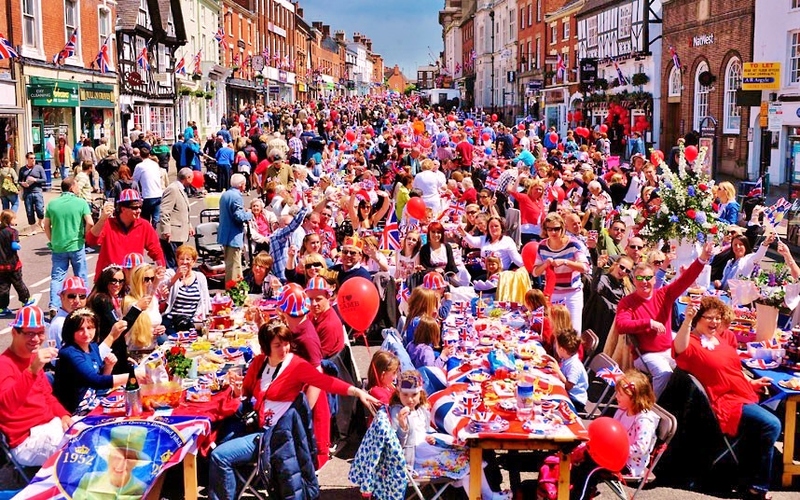 Street parties have united communities around the UK. Today. The imminent arrival of a new Royal family member. The Duchess of Cambridge was taken into hospital, in the early stages of labour. Never has there been so much excitement surrounding a royal occasion. The media have been camped outside St Mary’s for over a week, whilst for months every step of Catherine’s pregnancy has been documented by television cameras and followers. The joy, happiness and overwhelming celebration that a child brings will be experienced by the Royal couple as well as those who have followed every step of the way. These expressions of love and pride have almost certainly been reflected by the media. News programmes are leading with good news for a change, as are newspapers, and social networks are awash with good messages. Again, not just Britain, the world is united at the good fortunes of The Royal Family. So why have the family proved so popular in recent years? 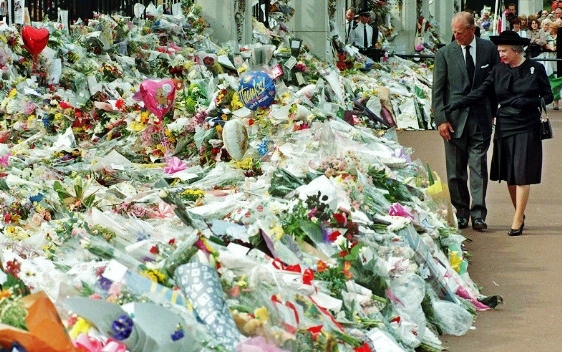 You could stem back to the death of Princess Diana in 1997. Strong criticism of The Royal Family, in particular The Queen, was rife, because of the responses (or lack of them) to the death of the Princess. An emotional Queen made a heartfelt statement from the balcony of Buckingham Palace, once returning to a grief-stricken London. Criticised for not supporting her public led to anger. However, Margaret Rhodes, one of The Queen’s closest friends, stated that she left London because of the overwhelming concern she had for her grandchildren, Prince William and Harry. The Queen did win back the affection of the public, by coming out to view the floral tribute that surrounded the Buckingham Palace gates. You could say that these darkest days of Her Majesty’s reign transformed her from a monarch to an ordinary Grandmother, responsible for the care of her Grandchildren following the death of their mother. The death of Princess Diana led to a turnaround for the Royals. It took tragic circumstances to turn around the face of The Royal Family. Overwhelming sympathy from the public for two young boys who had lost their mother has continued well into the 21st century. The Queen is now in touch with her thousands of supporters across the UK and around the globe. The rise of social networks and popular film culture have led to new depictions of the monarch and her family. The 2006 film, The Queen, starring Dame Helen Mirren, was an instant hit, portraying in tiny detail the days before and after the death of Diana. Perhaps an important medium to reach the mass audiences. On Facebook The Queen has her own account, whilst unusually humourous parody accounts exist on Twitter. There is room for everyone to enjoy The Royal Family in whatever form they like. The Queen, as head of the state and undoubtedly the head of the family, has become somewhat more relaxed and publicly more expressive. In 2012, her cameo appearance in a James Bond Sketch, during the London Olympic Games Opening Ceremony, proved a hit with viewers on TV and online. Danny Boyle, creative director of the Opening Ceremony, said The Queen had been positive towards the idea. In the weeks prior to the birth of her third Great-Grandchild, Her Majesty responded quite humorously to a young girl asking when the baby was due. In a natural response, The Queen said “I don’t think I mind, I would very much like it to arrive. I’m going on holiday.” The comments prompted laughter from the crowd and The Queen herself, yet secretly you and I know she has been anxiously waiting. Whatever you might think of The Royal Family, love them or loathe them, it can’t be ignored the impact they have on ordinary lives. For the veterans Her Majesty meets on Maundy Thursday to the little girl who asked her about the royal baby, anyone who has the opportunity to come into contact with Her Majesty and The Royal Family cherish their experiences for a very long time. A transformed, modern and “down to earth” family have transformed the public attitude to the monarch and her family. A real testament to a united Britain.